Thanks to Adverlets and Josh Lim, last Friday, I was invited to a movie premiere of the Malaysian version of spy movie called My Spy. This 5th production of a local production powerhouse of KRU Studio, which also produced Cicakman, is the epitome of how Malaysia secret agents work in the environment of mixed collaboration. Where usually a Malaysian production will show either in Malay, Chinese or Tamil, My Spy transcends the racial barrier and is presented in Malay and Chinese. There are various races in various characters in the movie too. 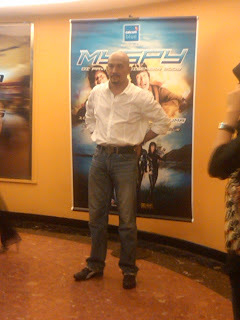 The film did try to put a Malaysian flavor into it and there are various local issues which it tries to address. With the backdrop of the beautiful island of Langkawi, My Spy brings forth the story of 2 bumbling spies, played by AC Mizal and Harun Salim Bachik, where they were appointed by a Datin played by Maria Farida. She suspected her husband Dato O. They are rivals in the spy game where the movie start of with them trying to outdo each other in solving cases. 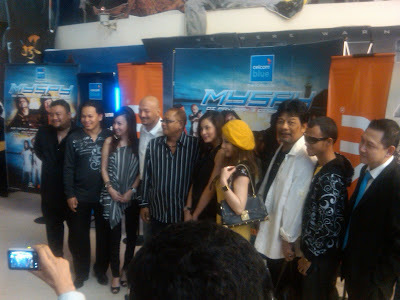 The cast which include Hannah Tan, Carmen Soo and Daphne Iking were directed by the affable Afdlin Shauki. Afdlin did make an appearance in the form of his voice for the car of the spy-inventor Harun Salim Bachik. The movie is passable as a light fare and has its moments. Though you may want to compare it with American action movies, My Spy can stand on its own as a milestone for local Malaysia film. It was partly sponsored by Celcom and Perodua. You do see their product placement in the movie though it did not hurt the storyline.